Vanity Trove has been advertising it's October Trove as a big and bold one, and here it finally is! Although for some reason I had the impression that it would contain more makeup than skincare items, you actually get both. First, let's look at the makeup. Some people got a lipstick, I got this Bourjois Queen Atitude Kajal Kohl. It's a full-sized product, so I'm happy about getting this! It's also a new launch by Bourjois for October, so you really are getting a hot new product in this month's Trove. The next item is also a standout - you get a full-sized tube of Audrey Christian Venetrim. 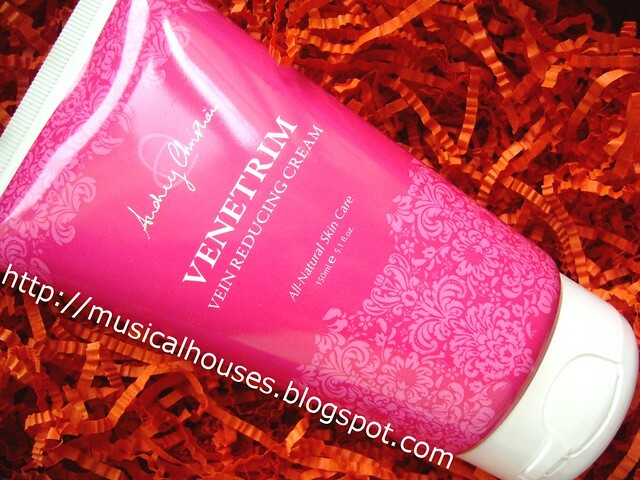 This is a cream for those who suffer from tired, sore legs or who have vein concerns. I guess this one really targets ladies who've had to walk a little farther in life than I have, since vein issues aren't my concern right now. (I'm still battling my teenage pimples well into my twenties, for crying out loud - life is so unfair!) I've never heard of the brand up to this point, so this is a great "try me" introduction to the brand. 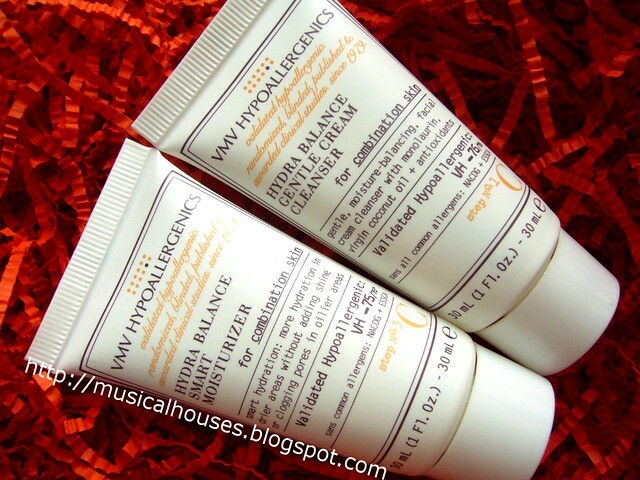 I also got a set of VMV Hypoallergenics Hydra Balance Cleanser & Moisturizer for Combination Skin Type. Also another new brand to me, but this brand is looking good. The tubes are travel-sized but not too small, so I'm happy. Lastly, we have smaller samples and other things. 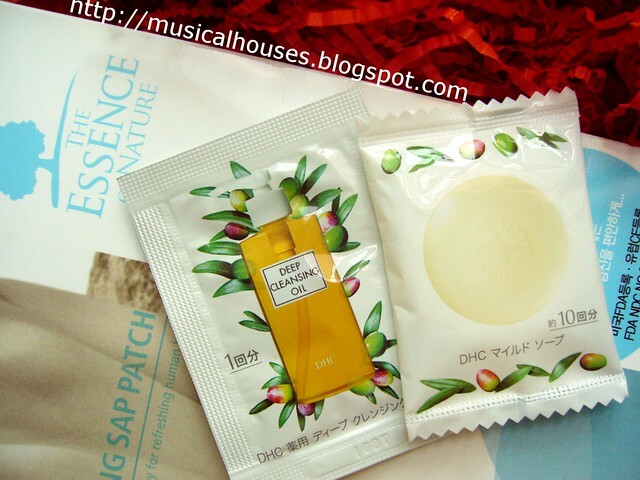 I got tiny trial sizes of DHC Olive Skincare samples, which is a sachet of olive and a small bar of soap, as well as an Bamboo Essence of Nature Sap Patch, which is a weight-loss product. Weight loss products aren't really of interest to me, not because I don't think I need to lose weight (trust me, one of my life goals is to get back to my weight UN my University days), but because I'm a firm believer in losing weight by exercise and healthy eating (or in my case, healthier eating, but whatever, any improvement is a good thing right?). But no harm done with these products either, really. So there you have it - this month's upcoming Vanity Trove! Looking around at other blogs, the product mix is similar. You get two full-sized products in this Trove, so if the mix of products interests you, this is worth checking out.